An abundance of oranges around the house led to the making of this recipe—raw chocolate truffles drenched in freshly squeezed orange juice. Oranges are a great source of fibre and vitamin C, and they also alkalise the body. This may sound unusual as they are an acidic fruit, but oranges contain many alkalising minerals, which help to balance out the body after they have been ingested. 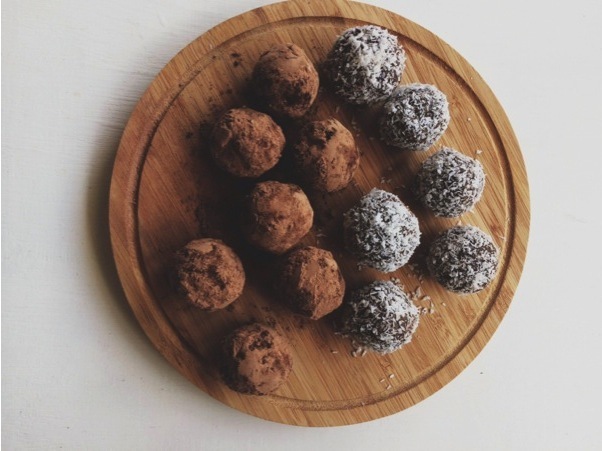 The truffles are raw, vegan, free of refined sugars, and completely nut free. They can be used as a pick-me-up during the day, a pre-workout snack, or simply whenever you feel like something a little sweet as they are 100% good for you. Here's the recipe. Enjoy! 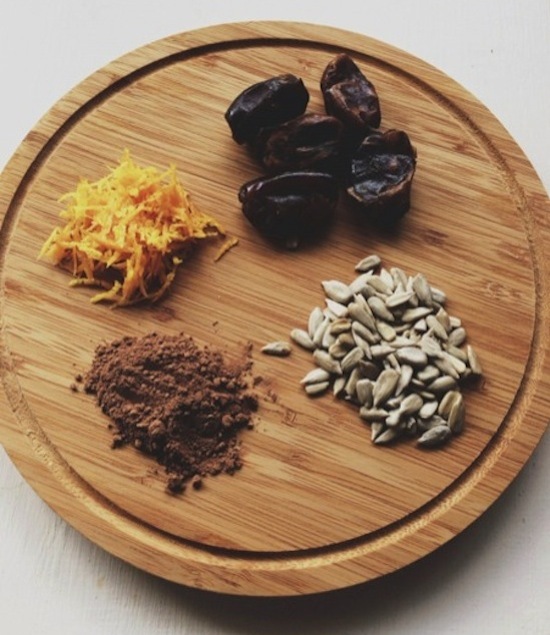 Place the sunflower seeds in a food processor and process until ground, then transfer to a medium-sized bowl. Add your chopped dates to the food processor and pulse until the mixture sticks together. You may have to stop occasionally to scrape down the sides of the food processor. Take out the mixture and combine in the bowl with the sunflower seeds. 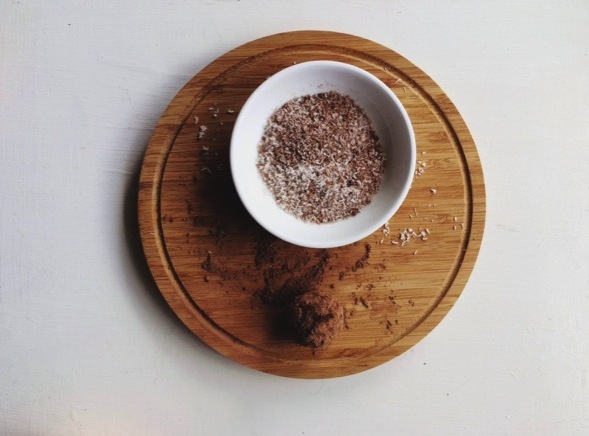 Measure out a tablespoon of the mixture and roll into a ball, then coat it with either cacao powder or coconut and repeat with the rest of the mixture. Store the truffles in the fridge until ready to eat.